PESHAWAR, Pakistan -- A radical anti-U.S. cleric imprisoned in Pakistan since 2009 left the jail in the northwestern city of Peshawar following a court order for his release on health grounds earlier this month, his lawyer and prison authorities said Tuesday. The release comes amid rising U.S.-Pakistani tensions following President Donald Trump's accusations that Pakistan shelters militants, charges that Islamabad denies. The cleric, 93-year-old Sufi Mohammad, is the former chief of the banned pro-Taliban group the Tehrik Nifaz-e-Sharia Mohammed, or TNSM. He became widely known after he went to Afghanistan with thousands of other armed volunteers to help the Taliban fight against Americans following the 2001 U.S.-led invasion. He was captured upon his return to Pakistan. Mohammad's lawyer, Fida Gul, said the ailing cleric was released on Monday night, after which his family took him to hospital. 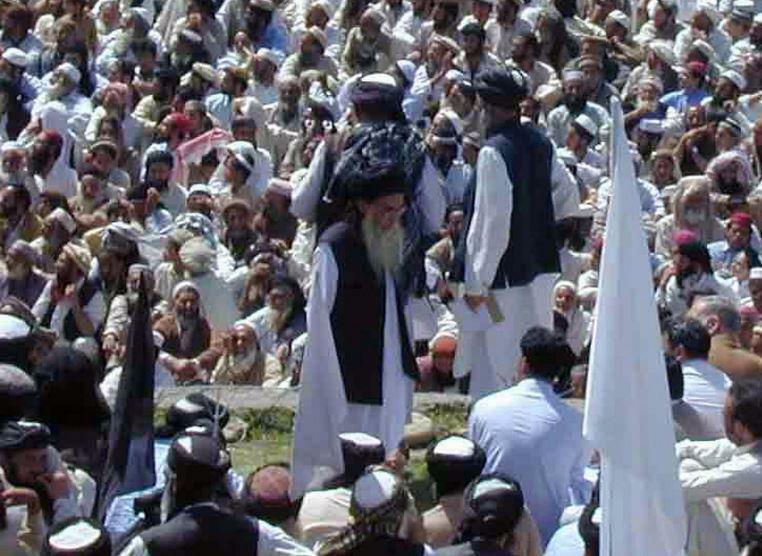 Islamabad has for years tolerated Mohammad's activities, whose followers staged protests and blocked highways in northwestern Pakistan to pressure the government to enforce Islamic laws. Ties between Islamabad and Washington could be further strained by the release of Mohammad, who back in 2001 issued an edict, or fatwa, for holy war against U.S.-led forces in Afghanistan.